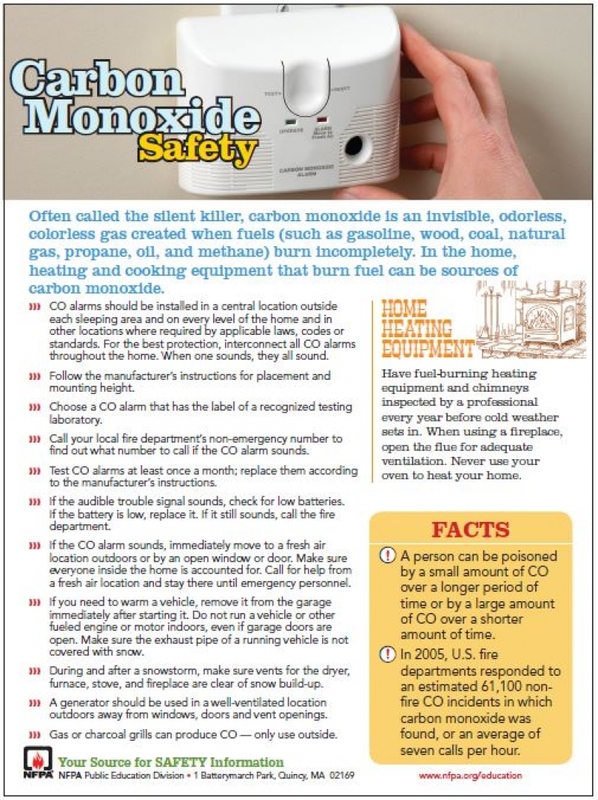 Operating portable generators safely go hand in hand with having adequate Carbon Monoxide (CO) alarms in your home. CO is a silent killer and a working CO alarm my be your only alarm when deadly CO is present. 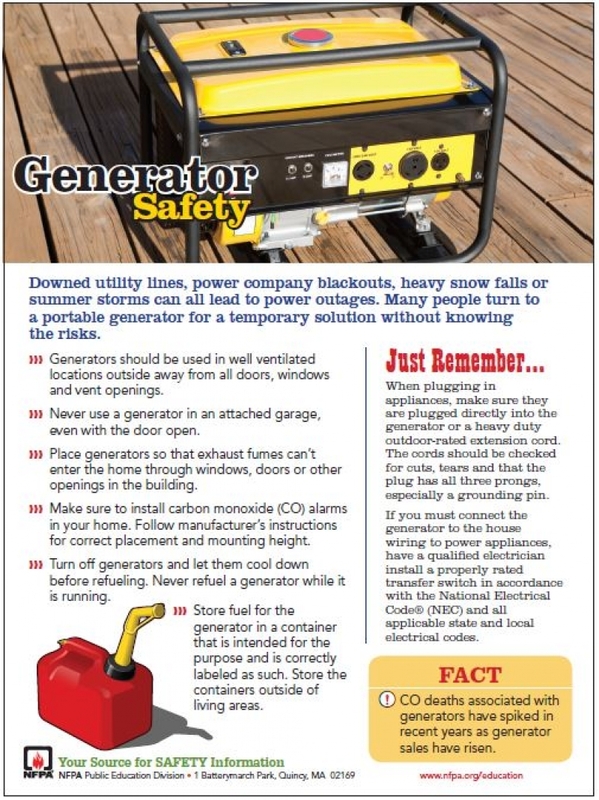 Remember - NEVER NEVER operate a generator or any gas powered tool indoors. When in doubt, seek out the advice of your local fire department - we would rather answer your safety question and prevent the emergency. CO Kills. Plain and Simple - don't become a victim.